Hello form builders and wu-fans everywhere! 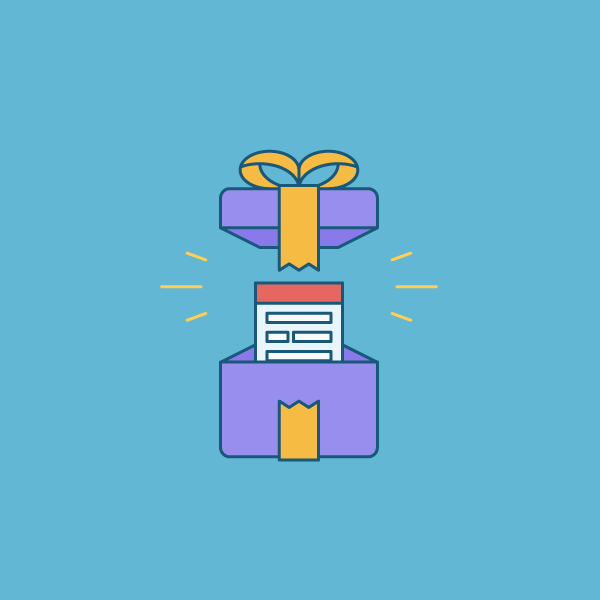 We’re excited to announce that we’ve got a fresh, new theme to spruce up your forms. We’re calling it “Newfangled,” which, for any non-vocab whizzes out there, means modern and new. You’ll see why we gave it this name soon! Newfangled is now available to all users. 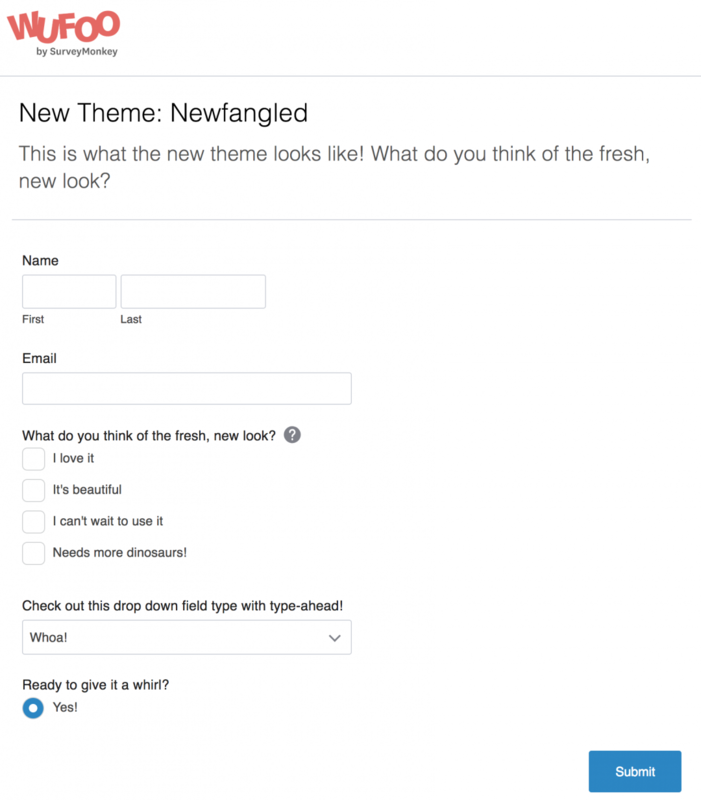 If you’re opted-in to the new Beta experience, Newfangled will be your default theme for any new forms you create, while existing forms don’t change unless you apply the new theme on them. And if you aren’t opted in to the Beta experience? You can apply it just how you would any other theme. Ok, enough talk. What does it look like? Can you smell the freshness? Do you feel like you’re looking into the future? We kid, we kid, but we think it offers a much cleaner, more modern look that matches the style of the Beta experience we recently rolled out. How can you apply the new theme, you ask? That’s easy. Just create a new form, or pick one of your existing forms. 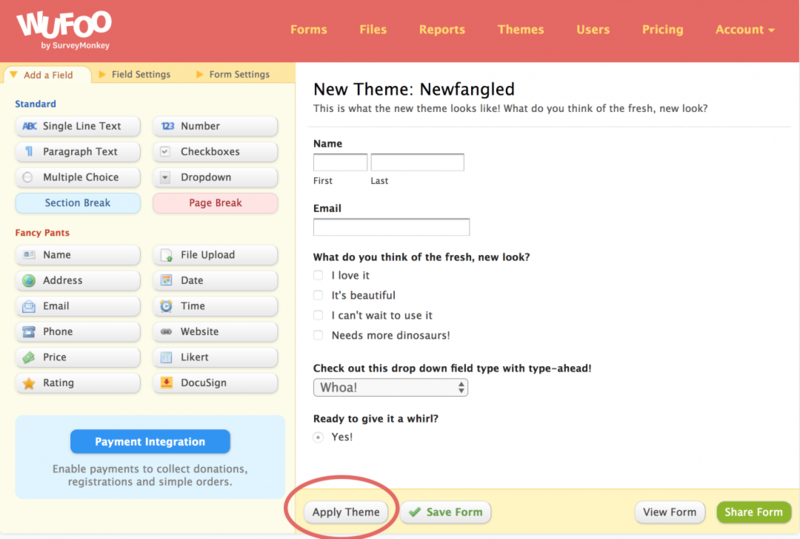 Once you’re in the Form Builder, click on the ‘Apply Theme’ button. Voilà, you’ve successfully newfangled your form. Pro tip: The theme is fully customizable, so tweak it to look exactly how you want. We’d love to know what you think of the new theme! Let us know in the Feedback tool, send us a tweet, or leave a comment. Absolutely love the new theme. One problem i’ve ran into is the instructions tooltip (?) doesn’t work well on mobile (iOS chrome). Is there a CSS override to make it go underneath the field? Like you have with `altInstruct` for the old themes. Posted November 1st, 2018 by Dave. Is it Possible to customize the color and fonts of a theme using CSS? Posted November 1st, 2018 by Ankit Agarwal.